Fig. 13 Example of the Files App viewing the contents of a directory. This Open OnDemand application provides a web-based file explorer that allows the user to remotely interact with the files on the HPC center’s local file system. This application uses Node.js as the code base and is based on the CloudCommander file explorer app. The Files App provides access to create files and folders, view files, manipulate file locations, upload files, and download files. It also provides integrated support for launching the Shell App in the currently browsed directory as well as launching the File Editor App for the currently selected file. Launches the Files App with a view of the directory for the specified path. 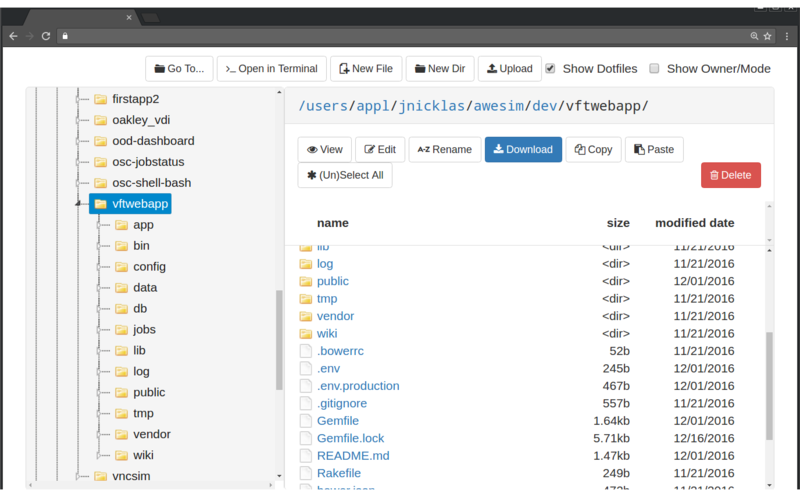 Launches the Files App with the view of the /home/user/path/to/work directory. Fig. 14 Diagram detailing how the Files App interacts with the HPC infrastructure. Fig. 14 details how the Files App works on a local HPC system. The user’s PUN running on the OnDemand Server launches the Node.js Files App through Passenger as the user. 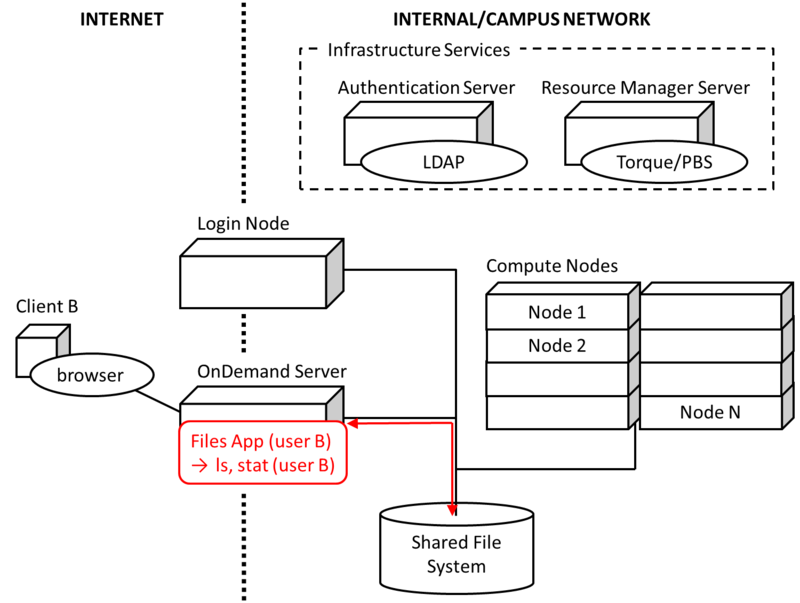 The Files App then utilizes the Node.js File System core library for interacting with the local and shared file systems. before Passenger and subsequently the Files App can gain access to it. The space allocated for this location is one of the limiting factors on the size of file uploads.